You perhaps wants to join a Distance Learning MBA program in India that's why you're reading this post today. Many of us don't want to lose out on experience while learning and that's the reason earn while you learn culture is growing in India. Now a days students and even working professionals prefer to pursue their higher education through distance education system because they wants to earn money without leaving their education. 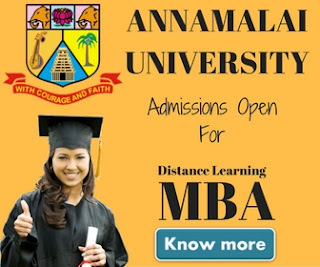 To help students seeking admission into Distance Learning MBA course, DNA Academy has published a Top 10 Distance Education Universities 2012 Ranking by conducting DNA-Indus Learning Survey 2012. We're posting below the whole story below for your better understanding. The DNA and Indus Learning Solutions Pvt. Ltd. compared institutions on relevant parameters to produce the DNA-Indus Learning Survey 2012. They involve student, faculties, alumni and HR consultants in the ranking process. 300 respondents of age group 18-30 years from across the six cities of Delhi, Mumbai,Chennai, Pune, Chandigarh and Bangalore were participated in the survey. Based on the responses collected during the survey, Institute of Management Technology (IMT) Ghaziabad won the race followed by Symbiosis, Sikkim Manipal, Amity & NIMIMS. The most prestigious open university in India & largest open university in the World, IGNOU, come last i.e 10th position in the survey. 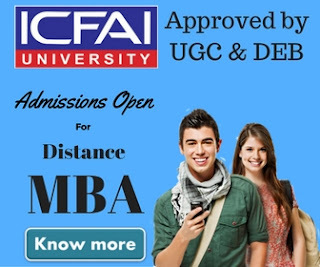 Although IGNOU MBA is one of the most preferred distance learning MBA programme in india. below is the list of top 10 universities/institutions who managed to secure a position in top 10 ranking list of DNA-Indus Learning Survey 2012. Below is the Top 10 ranking of distance learning universities in India based on DNA-Indus Learning Survey 2012. We hope the ranking will really help students to choose the right MBA program for themselves. DNA-Indus learning ranking is one of the most trusted ranking in India. hope you've liked our post. Share your love by sharing this post on facebook & twitter. We love to hear from you so don't forget to comment below.